Washington: Recently, a few commentators remarked that Carolina Panthers quarterback Cam Newton did not respond well to questions after his loss to Peyton Manning in the Superbowl. Some noted that he needed to learn not only how to win like a champion, but also how to lose like one. Interesting that their comments reflect on the importance of learning from adversity. Of course, in this situation, we might not expect anyone to immediately let go of such a loss. We’ve probably all heard the “no pain, no gain” motto that conveys that we need to put in our time and hard work in order to get something of great reward. The phrase suggests we need to learn from our failures and adversity. We will all experience hardships, yet we will differ in how we handle them. Some of us show our resilience much better by being able to pick up the pieces and move on. Others may find it difficult to let go. So, how do we learn from the tough times, especially those seemingly uncontrollable things that happen at work — “your” promotion goes to someone else; you get a new boss who’s a micromanager; your colleague backstays you in front of a senior manager; and the list goes on and on. Initially, we will all probably experience feelings of disappointment, anger, grief, demoralisation, frustration, and pain. These feelings can last for a while too. What we do with those feelings distinguishes us from others — how we are able to reflect on what happened and gain a greater sense of self-awareness (i.e., in understanding what our role was in what happened). We need to think about what the adversity has taught us about our own honesty, integrity, and sense of personal accountability. We need to think about others and our roles when working with them. We need to find the teachable moments. Think about what we do have under our own control. For example, if we know we failed due to a lack of knowledge or skills, we could take a course or do some more reading or gain additional skills to position ourselves for success in the future. We should also examine whether we have fear of failure. While no one really wants to fail, some people so fear it that they take shortcuts or avoid telling the truth about a failure. They become overly cautious. 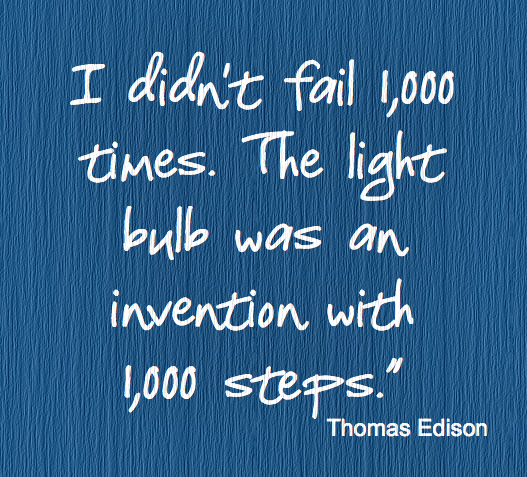 Maybe we should view failures as setbacks instead of failures. Setback implies you will get there; it just may take you longer. On the other hand, the word failure implies your chances are over. We do have to re conceptualize adversity and failure as a starting point — what road can we now take to get us to our destination. This also implies that we must have persistence and faith in ourselves that we can move on. The Dalai Lama noted that “it is under the greatest adversity that there exists the greatest potential for doing good, both for oneself and others.” We need to remember this, and make sure to take time to learn from the difficulties that life is sure to send our way. Otherwise, the failure will define us instead of us moving forward and using it to propel us to higher dimensions. The writer is the senior associate dean at the University of Maryland’s Robert H. Smith School of Business.